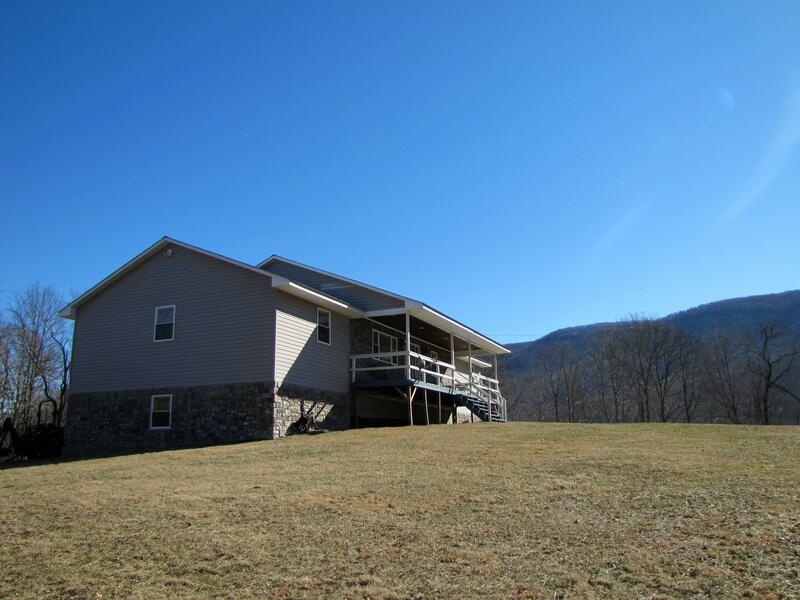 Welcome to this 5 bedroom, 2.5 bath home on 68.58 acres with improvements. Located at the base of wild and wonderful Peters Mountain in Beautiful Monroe, County WV. (24963) Home was built new in 2006, and has an excellent well and large septic. The large kitchen has lots of hand made hickory cabinets, and is fully loaded with dish washer, refrigerator, oven and much more. Master bedroom has a spacious master bath with therapy tub, and large walk in closet. Home has beautiful Oak hardwood floors thru out, half of the basement is finished with a large bonus room and propane fire place. Land has some open area but it is mostly wooded with lots of trails, and excellent hunting. Home has 2 outbuildings for storage. Some areas are fenced and cross fenced.